Patterns of Time Roman Gladiator Helmet Pencil Topper and Pencil - Pewter, New Products! 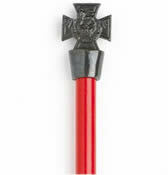 WRGH/PT - Roman Gladiator Helmet Pencil Topper and Pencil - Pewter. This highly detailed Roman Gladiator Helmet is made from lead-free pewter and mounted on top of a 17.5cm black pencil. 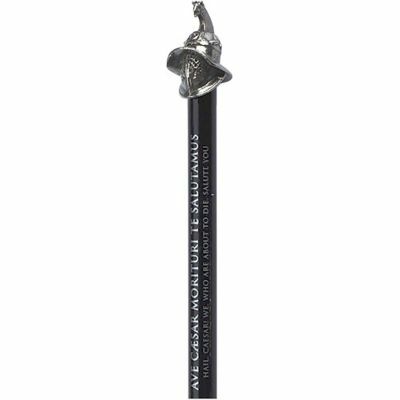 The pencil is printed with the famous gladiator motto 'Ave Caesar Morituri Te Salutamus' which translates from latin as 'Hail Caesar, we who are about to die salute you'.